Paddy's Hollow is located downtown in historic Wilmington, within The Cotton Exchange. They serve classic American dishes like ribs, steaks, and sandwiches. Their outside seating faces the river. Open ..
Pros: Free parking if you're a customer! While visiting Wilmington we went to eat lunch at Elijah’s. Wonderful outdoor seating overlooking the river and the Riverwalk. Pros: Delicious cheese bread, appetizers and tacos. The view is wonderful and staff was friendly. 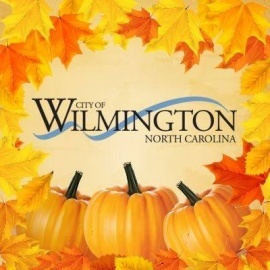 Wilmington is a port city in coastal southeastern North Carolina. It's home to a vibrant riverfront and scenic pedestrian-friendly Riverwalk that winds around the famous Cape Fear River to three colorful island beaches. The banks of the river embrace a variety of architectural styles, and moss-draped live oaks line the 230-block National Register Historic District, which is one of the largest in the U.S.
You can see the city on a guided walking tour, by horse-drawn carriage or trolley ride. Wilmington boasts a favorable mild climate, varied landscapes, and spectacular architecture so it's easy to see why over 400 film-related credits belong to the city. You'll find over 40 locally owned restaurants, pubs, and breweries in the river district, many of which feature live music long after the sun goes down. Beach lovers will enjoy island time at Carolina Beach, Kure Beach, and Wrightsville Beach, which are no more than 25 minutes apart. There are family-friendly attractions and programs from surf lessons at one of the world?s nationally recognized surf destinations to a superhero kid?s camp at area resorts. Fly down the 40-foot- tall waterslide or float the lazy river at Jungle Rapids Family Fun Park. Ride a surrey bike at a beachside boardwalk, nationally-recognized as one of the top boardwalks in the country by USA Today. Discover under-the-sea animals at the North Carolina Aquarium at Fort Fisher, voted one of the best aquariums in the U.S. by the Travel Channel or a day at the playground at the Ocean Front Park. Wilmington has much to offer the resident and visitor! During these excruciatingly hot summer months, weâre all looking for a way to cool off. Enjoy the sun and dial down the heat by checking out the best splash pads and pools in Wilmington! Looking for the best Mexican eats but feeling a bit overwhelmed with the options? Look no further because we have found the best Mexican restaurants in Wilmington! Snow Production‘s Presents Disney’s Cinderella. We have 4 shows and all performances will be in the auditorium at Snipe’s Academy of Art and Design.